Hi, I’m Abi and I can help you achieve whatever you want or need in life, through Solution Focused Clinical Hypnotherapy. 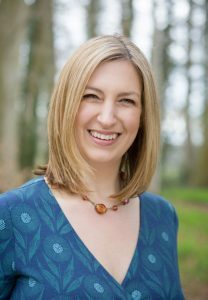 I specialise in reducing anxiety, inspiring confidence and helping you unlock your inner resources to improve your mental & physical wellbeing. Your Initial Consultation is free when you commit to a course of therapy, or I’m always happy to have an initial chat over the phone if you’d like more information about how hypnotherapy could help you. Solution Focused Hypnotherapy is a powerful, well researched combination of Clinical Hypnotherapy & Psychotherapy which works to overcome barriers in the subconscious mind, permanently and effectively. It enables you to find new ways to move forward from even deeply rooted problems and worries, unlocking your own inner resources to provide solutions and reduce stress. Within a few sessions clients find they feel calmer, more confident and more in control, and often notice unexpected benefits such as better sleep and wellbeing. We don’t dwell on the past – it’s all about moving forward at your own pace, to create the exciting new future you deserve! A course of therapy typically takes just 8-12 sessions, but can be more or less depending on your needs and circumstances. I work with a huge range of mental & physical conditions: IBS, public speaking, anxiety, depression, motivation, OCD, insomnia, food issues, weight, pain management, fertility, smoking, addictions… the list goes on. I also have a special interest in Hypnobirthing and maternal mental wellbeing. 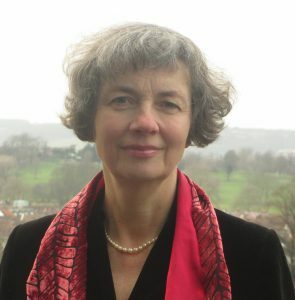 I trained with renowned Clifton Practice in Bristol, and was awarded the DSFH and HPD diplomas. I am experienced in seeing clients with a wide range of aims and concerns, both mental & physical. I am fully insured, DBS checked and registered with the CNHC – the government’s voluntary register for complementary health professionals. I am now studying for the Advanced Hypnotherapy Diploma and have recently completed the Diploma in Medical Hypnotherapy to advance my skills, so I can also help people undergoing chemotherapy, clients with needle phobias, advanced pain management and palliative care. This entry was posted in Talking Therapies, Therapists on September 17, 2018 by Clive. My aim is to help you explore any issues that interfere with your mental and emotional wellbeing, and to help you find your own resources to live the life you prefer. I have always been very interested in understanding what makes people cope, heal and thrive. I know an essential part of the answer comes down to having an environment that supports self-reflection, self-regard and growth. I believe counselling can be that time and space we need to make sense of our experiences, to express ourselves, to explore what configures our identity, to clarify stressors and to update our goals and coping strategies. I was born and raised in Spain, así que también ofrezco psicoterapia en Español; there I received my bachelor´s degree in Psychology. I continued Psychology studies in New York, USA where I was awarded an MA degree and worked providing counselling to individuals with all kinds of issues. I have completed a level 5 Diploma in Integrative Counselling which has allowed me to learn and practise counselling with an emphasis on the humanistic approach. I also value and use other approaches (REBT, TA and solution-focused mainly), depending on the circumstances and on what my clients seem to respond to best. I see counselling as the accompanied process of growth towards reaching one´s potential. It is my aim to make this process as safe and rewarding for you as possible. This entry was posted in Talking Therapies, Therapists on March 13, 2018 by Clive. Counselling, for me, is the creation of a trusting and authentic relationship where comfort and ease can be experienced, fears can be explored and brought into awareness safely, and clarity can be sought through confusion and pain. There are many reasons why people seek counselling and your reasons will be unique. Perhaps you have experienced a distressing event or perhaps you feel you cannot manage your emotions or feel your life is out of control. Counselling offers the opportunity to find clarity, acceptance and experience change and transformation. Counselling sessions can be both reassuring and challenging. I can offer comfort and support whilst also helping you to gently face difficult feelings and realities. This process requires work and investment on both sides. 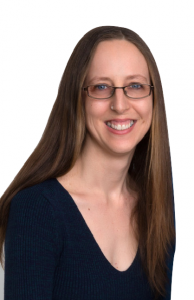 I have years of experience working short term (6 to 24 sessions) with specific goals and long-term with those who want to explore things in more depth. I trained at UWE, the Bath Centre for Psychotherapy and Counselling and the Karuna Institute in Devon and have been working therapeutically with individuals and families for over 10 years. I am a registered member of the BACP and adhere to their code of conduct. I charge £45 for a 50 minute session. Please check my website or contact me for further information. This entry was posted in Talking Therapies, Therapists on August 29, 2016 by Clive. Therapy is about building an understanding of your unique experience of being human in a developing dialogue with a professional. It happens in a safe and confidential space which is available at the same time and place, usually weekly. My approach to therapy is relational and integrative. ‘Integrative’ broadly refers to an approach to psychotherapy that incorporates ideas from several of the different traditional approaches to psychological therapy that have grown up over the past century or so, rather than adhering to one ‘school’ of thought. I draw on ideas from the three main branches of psychological thinking, namely psychoanalytic, humanistic and behavioural, to inform the way I work. I trained at Metanoia Institute in London on their Doctorate in Counselling Psychology and Psychotherapy by Professional Studies, which is accredited by Middlesex University. I am registered with the United Kingdom Council for Psychotherapy (UKCP), a Chartered Psychologist with the British Psychological Society (BPS), and a registered Counselling Psychologist with the Health and Care Professions Council (HCPC). I have worked as a counsellor and psychotherapist in various short and long term therapeutic settings over the years, including a student counselling service, a women’s counselling centre and a drug and alcohol addiction recovery service. I have been working in private practice for the past few years and specialize in long term psychotherapy. Alongside my clinical work I am also involved in teaching, training, and supervision in the Counselling Psychology and psychotherapy research field. I am a Module Leader and tutor at Metanoia Institute in London and teach practitioner research on their Counselling Psychology doctoral training programme. I also supervise doctoral students’ research projects and sit on various assessment and examining boards for the programme. I have also run workshops and discussion groups at Oxford University on the management of vicarious trauma for researchers in the social sciences. My doctoral research focused on the narratives of ex-military members of their experiences of psychological therapy. I have a broad interest in working with people who have spent long stretches of their lives in institutional settings such as boarding school, the armed forces, and religious communities. I also have an interest in major life transitions, which encompass both life stages like having a baby, children leaving home, bereavement or retirement, and major psychological transitions such as the desire to separate from a particular community, culture, religion or world view, and the transgender experience. Finally I have an interest in the area of vicarious trauma that can be suffered by social science researchers, humanitarian aid workers, (para)medics and police. Sessions are weekly and last for one hour. I currently have availability on weekdays. My session fee is £65. Please get in touch if you would like to arrange an initial session, or if you have any other queries. My contact details are below. This entry was posted in Talking Therapies, Therapists on August 16, 2016 by Clive. Dr Budd has over 20 years experience as a clinical psychologist. He currently works in full-time private practice, providing: therapy for a broad range of mental health problems (e.g. PTSD, depression, etc.) and personality disorders; training and consultation on case formulation and risk assessment; clinical supervision; expert evidence in civil, family and criminal law cases. 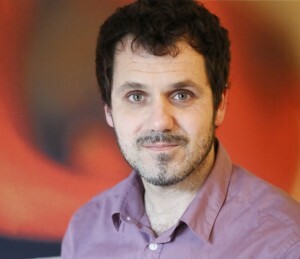 During his professional practice, Dr Budd has worked in a variety of settings, including: a third sector organisation which supports homeless individuals and families; community mental health teams; low/medium secure psychiatric hospitals and psychiatric intensive care units; family intervention teams and psychiatric day hospitals. These roles have involved Dr Budd in providing assessment and treatment of a variety of mental health problems, including PTSD, anxiety, depression and phobias. Dr Budd has prepared over five hundred medico-legal reports relating to personal injury claims, family proceedings and criminal matters and is trained in the use of the HCR-20, SVR-20, WAIS and WMS tests. He has attended training on Court Skills and report writing. As part of his ongoing CPD he has attended training in a variety of therapeutic approaches including: Mindfulness Based CBT, EMDR, Trauma Focussed CBT, Motivational Interviewing, etc. Dr Budd has published extensively in peer reviewed journals and presented papers at academic conferences. He has developed a number of widely used psychometric tests (e.g. the 15FQ+, the Jung Type Indicator, etc.) and has full enhanced CRB clearance. Rick Budd, BSc (Hons), MSc, PhD, CPsychol, AFBPsS. Registered Clinical Psychologist (HCPC), Associate Fellow of the British Psychological Society. Chartered Psychologist (BPS), visiting lecturer at Cardiff Metropolitan University. This entry was posted in Talking Therapies, Therapists and tagged 160 on July 31, 2015 by disphoria. 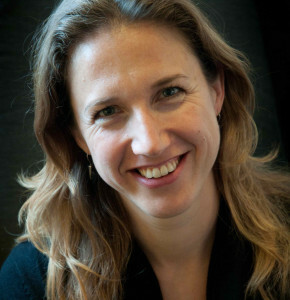 Jane is the Lead Cognitive Behavioural Therapist at Dynamic You CBT Clinics in Devon, Somerset, Wiltshire and Bristol. 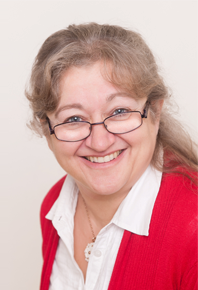 Jane has over 15 years experience working within Psychology services. 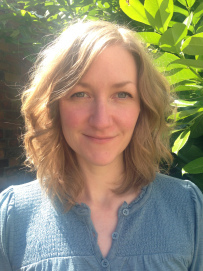 She has previously worked extensively in NHS in posts at primary care and specialist levels across the UK since undertaking specialist clinical training as a CBT Therapist. Currently she practices privately as a CBT Therapist and also supervises other clinicians across the country. 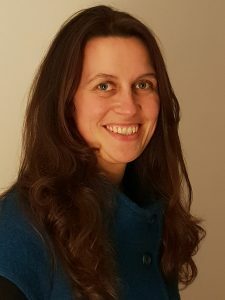 Jane’s clinical interests include working with common emotional health problems including depression, anxiety and relationship problems together with difficulties associated with Adult ADHD. She also has specialist experience in working with people who have experienced childhood trauma. 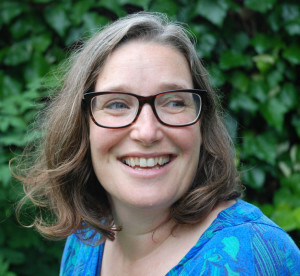 Jane is Lead Cognitive Behavioural Therapist at our West Country clinics and is accredited by the British Association of Behavioural and Cognitive Psychotherapies (BABCP). British Association of Behavioural & Cognitive Psychotherapies Accredited CBT Therapist. This entry was posted in Talking Therapies, Therapists and tagged 110 on July 31, 2015 by disphoria. I am a Clinical Hypnotherapist. I studied at two prestigious hypnotherapy colleges – The Clifton Practice in Bristol and The Anglo European School of Therapeutic Hypnosis in Bournemouth where I gained a Hypnotherapy Practitioners Diploma (HPD) and a Diploma in Hypnotherapy & Psychotherapy (DHP). I have a thirst for knowledge so I enjoy attending courses to further my practice. My most recent line of interest has been in Insomnia and sleep disturbances, something we have all experienced at some point in our lives. I became interested in hypnotherapy while studying at university, to help with anxiety leading up to exams. I was amazed at how effective it was at reducing stress levels and helping me think clearer which is so important during examination time. After leaving University, I decided to retrain in Complementary Therapies and then later I went on to train in Hypnotherapy. I have now been working in the area of anxiety and stress management for 9 years, one of the key areas I am very passionate about. I really enjoy using hypnotherapy with my clients and they are often amazed at how quickly they can turn their life around with the techniques I use. Hypnotherapy is a very positive, forward-thinking therapy and looks at ways in which to overcome a problem without having to delve in to the past and all the bad things that have happened – a much more mentally healthy approach to moving forward in your life! Hypnotherapy is a collaborative process and I will teach you a number of techniques which you can use in between sessions and thereafter to help put you in control of your thoughts, feelings and behaviours. I have successfully helped many people with a wide variety of issues including stress management; anxiety and panic attacks; phobias; depression; insomnia; pain management; smoking cessation; and more. I am a fully insured Accredited Member of the National Council for Hypnotherapy (NCH), one of the main professional bodies for hypnotherapy in the UK. I offer a 50-minute initial consultation, to give my clients the opportunity to meet me, ask any questions they might have and discuss their situation more fully. During this session, I also explain in detail how the brain works, how we create anxiety, about thought processes and patterns of behaviour and how hypnotherapy can help. I will also teach you a simple and effective way to go in to hypnosis to familiarise you with the process and that you can then use to form the basis of your own self-hypnosis practice. My clients also receive a free 30 minute guided relaxation / self-hypnosis audio track. To book your free initial consultation to discuss how Hypnotherapy can help you. This entry was posted in Talking Therapies, Therapists and tagged 90 on July 31, 2015 by disphoria.